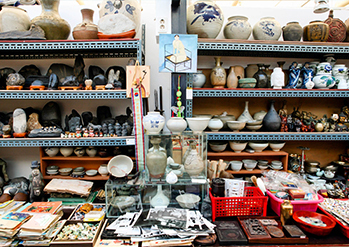 Among some of Seoul’s major tourist sites are unique flea markets that sell all kinds of secondhand goods and antiques. Some markets take place all year round, while others are held on a weekly, yearly, or seasonal basis. With handmade goods, food, artwork, secondhand clothing, household appliances, musical instruments, and other unique items available for sale, the sheer diversity of goods is enough to warrant a visit to any of Seoul’s major flea markets located in the popular and accessible neighborhoods of Hongdae, Myeong-dong, Gangnam, and Itaewon Special Tourist Zone. The Hwanghak-dong Flea Market is a special market located along the Cheonggyecheon Stream that sells secondhand goods.It is popularly known as “Manmul (all-things) Market” due to its variety of goods and also as “Dokkaebi (a Korean goblin) Market” because the dark interior of the shops seem like a place where goblins might live. 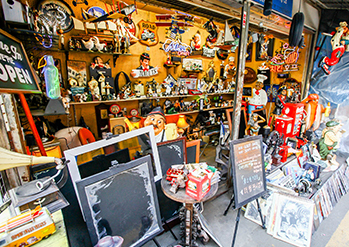 The flea market is comprised of the antique street, electronic appliance stores, machinery stores, and stalls out on the street with vendors selling old books and videos. In particular, the nearby Dongmyo Flea Market attracts those who love vintage fashion and is constantly busy on the weekends. 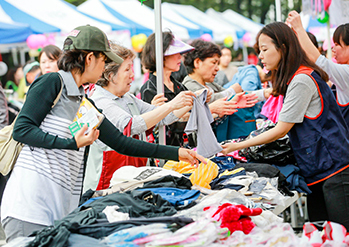 The Seoul Folk Flea Market sells specialty products from different regions of Korea. 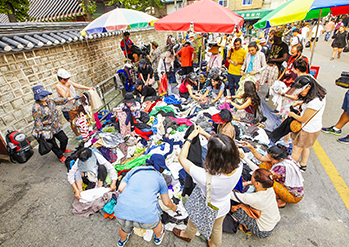 The market was formed by gathering the former shops and vendors of Hwanghak-dong Flea Market (Dokkaebi Market), who lost their shop locations during the restoration of the Cheonggyecheon Stream. 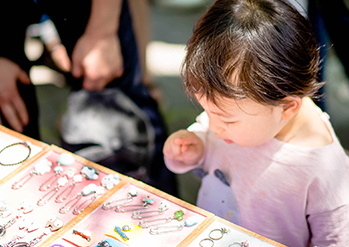 The Seoul Folk Flea Market offers everyday goods, souvenirs, and folk items that shed light on the past lifestyles of Koreans. The market floor is divided into sections selling miscellaneous goods, clothing, antiques and crafts, local specialties, souvenirs, and more. Visitors to the market can also enjoy a wide range of traditional Korean snacks and food at affordable prices. 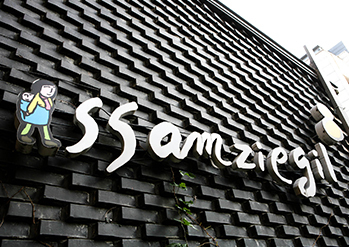 Ssamziegil, an arts and crafts shopping mall on the famous Insa-dong Street, offer a diverse collection of Korean handicrafts and designer goods. The shopping mall has four above ground levels which are connected by a walkway that wraps around the mall’s atrium. The shopping center offers plenty of attractions such as exhibitions along and performances and events that take place in the courtyard. 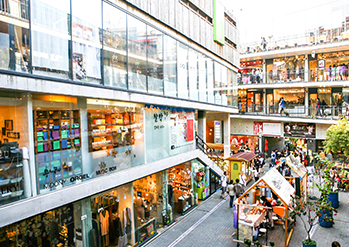 In addition, nearby Insa-dong Art Street and the many galleries, traditional teahouses, and restaurants lining Insa-dong Street allow visitors to experience traditional Korean culture in the heart of Seoul. 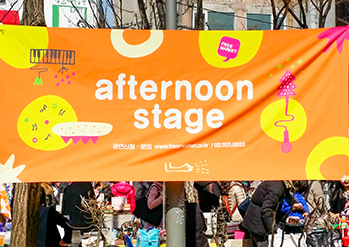 The Hongdae Free Market takes place on the neighborhood streets of Hongik University, more often referred to as Hongdae, allowing artists and visitors to interact and communicate in a public, open space. The market brings about 50 to 60 teams of different artists every Saturday who freely perform, sell, exchange, and exhibit their work. Hongdae Free Market sets itself apart from flea markets that deal with secondhand goods by providing an environment for artists to express their creativity through interaction and trading. 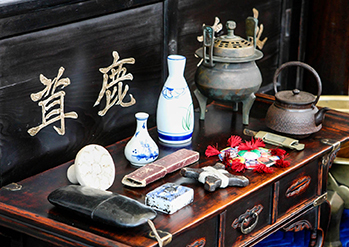 Commonly sold items include metal crafts, leatherworks, ceramic crafts, woodcrafts, glass works, and recycled art. In addition, visitors to the market can also enjoy entertainment prepared by free-spirited musicians and performers with the Afternoon Stage performance. 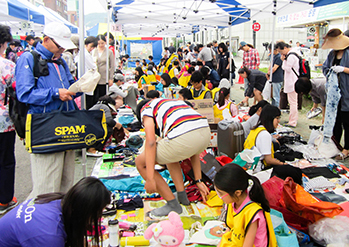 The Seocho Saturday Flea Market was originally a place for selling used household items in an effort to combat the effects of the Asian economic crisis in 1997. 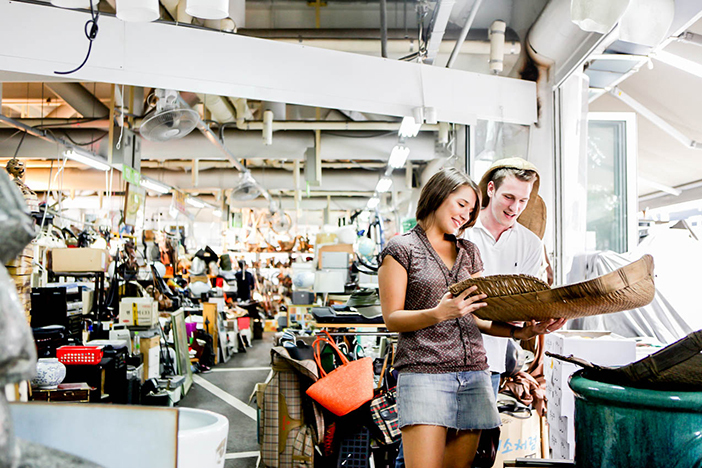 Comprised of hundreds of stalls each week, the flea market will be open on Saturdays until the of November from 10:30 to 14:30 this year. The market is divided into different sections with goods for the general public, children and adolescents, nursery products, and seasonal items. The market also holds street concerts, creative arts programs, and other hands-on events for visitors. Bangbae-dong Bokgae Road (Week 3): Sadang Station (Seoul Subway Line 2, 4), Exit 11, 13. As most flea and free markets accept cash only, it is advised to prepare cash in advance before visiting. This page was last updated on September 28, 2018, and therefore information may differ from what is presented here.